The Marvel Cinematic Universe has become a ripe playground for Internet articles about theories and lists. I’ve even done my own list in the past of characters I want to see get the MCU treatment. With the merger of Fox and Disney paving the way, we even have Fantastic Four and X-Men to hope to see someday. I also am in need of something to kick start me writing again, as I’ve had trouble keeping motivated. When I don’t see anything new in comics really grabbing my interest, it gets easy to be disillusioned. The Marvel Cinematic Universe routinely impresses me. Therefore, I’m using it for yet another list among the many out there. This one is on characters that I want to see in the Marvel Cinematic Universe. First, we have to lay down some rules. The only things that count as an MCU appearance is movies and television. I may employ the comics, but only because that stayed very close to the films in the stories that they told. Video Games don’t count, primarily because there are characters that I desperately want to see that have been given that treatment. Sorry, but its my list, and I make the rules, to a point. Also, I might revisit the characters on my previous list because I’m still very partial to most of them. You’ll also see a preference to female characters. If there is any reason to this, it’s that the most interesting male Marvel characters have already made their way into the MCU. I think everyone is waiting for Jennifer Walters to make her MCU debut. While the Universal rights prevent her from getting her own standalone film, she could easily find herself as a supporting character. Simple scripting could keep the need from tying in a Mark Ruffalo appearance by simply eliminating her relationship to Bruce Banner. Jennifer Walters could simply use the Hulk as inspiration after she gets the Hulk-like powers. Without a direct blood transfusion from the Hulk, how do you explain her powers? The MCU has already given us Inhumans, although that train may have left the station. Nothing kills momentum like failure. Bruce Banner did send his blood out to Samuel Sterns. SHIELD took not only him, but most likely his entire lab into custody, and this was before it was overthrown by Hydra. It’s not improbable that some intrepid Hydra scientist want to see how Sterns’ experiments and Banner’s blood samples could work on another subject. Given that Hydra eventually fell into disarray, a young attorney could prove to be the most opportune subject. Especially if that scientist were to find himself in need of an attorney. She-Hulk also doesn’t need to be tied so closely to the Hulk. In the comics, her peak of popularity came at a time when that connection was trivial. The MCU has even shown that the comics history doesn’t have to be strictly adhered to in order for a good story to be told. 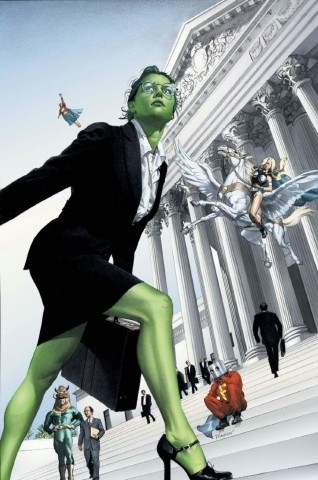 She-Hulk is a very likely possibility for an upcoming addition to the MCU. With the Fox/Disney purchase, perhaps the time has come for a Dazzler television series. Think about a series that explores a would-be pop singer with light-based abilities. It has an attainable special effect to render her powers, and those powers are unique in the current MCU. It could also explore, as her original series did, a case of a super-powered character that doesn’t want to go out and be a hero. This is area that the Netflix series have covered with Jessica Jones, but this would be a case where someone doesn’t mind using their powers. It’s just that Alison Blaire doesn’t want to be an Avenger. We wouldn’t need to set a Dazzler TV series in New York. Series like Runaways and Cloak and Dagger have successfully taken the MCU out of New York and made it work. Dazzler could take that cue and feature the wonderfully surreal world of Hollywood, especially the part that would-be stars inhabit as they try to climb the ladder to stardom. We could have some social commentary with Dazzler’s reaction to the type of harassment highlighted in recent years, making the series tell a story that isn’t about mutant villains and maniacal would-be world conquerors. If Marvel really wanted to emphasize the social commentary, Dazzler could be gay or transgender. Superhero shows do not have to be subtle with their metaphors and themes. Also Dazzler is awesome, and Fox doesn’t realize it. Hopefully, Disney will. This one is a holdover from my first list. I really want to see a multiverse in the MCU. In Infinity War, Doctor Strange saw thousands of potential futures, which makes for a myriad of possible alternate universes. Part of the mythos for Captain Britain is that Merlin has assembled a corps of Captain Britains to protect the multiverse. Simon Pegg and Orlando Bloom have expressed interest in the character. 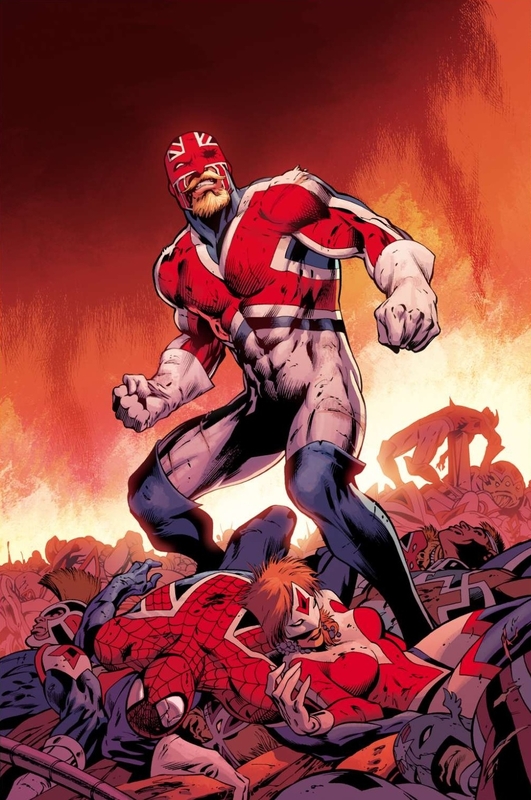 There’s not a shortage of great British actors to take on this character, but I would suggest using the fact that the character is named Captain Britain to make a statement. You could cast someone other than an English actor. Go Scottish or Welsh with the casting. You could even go with an actor from Northern Ireland, but that might be a bit much. The story element of alternate Earths could lead to some nice alternate casting of familiar Marvel faces, or maybe even bringing in same familiar Marvel faces for cameos. We could see some of the cast of Josh Trank’s Fantastic Four make a brief cameo. One of the actors that have played Spider-Man, like the British actor Andrew Garfield could show up as a nod to fans. However, we still need to tell a story and that means focusing on the Captain, in a way that only means pitting him against Mad Jim Jaspers in a story that can make allusions to Brexit and the current political climate in the U.K.. Jaspers could be based on Boris Johnson or Nigel Farage. Imagine the extremely right wing Jaspers with reality-warping super-powers that threatens all of the Multiverse. These are high stakes. Only Captain Britain is prepared to save the MCU. We can have a film appropriate for kids that adapts primarily from the Moon Girl and Devil Dinosaur story, but in a way that honors the characters’ Kirby roots. In the first act, we’re introduced to Moon Boy who is killed by the Killer Folk. 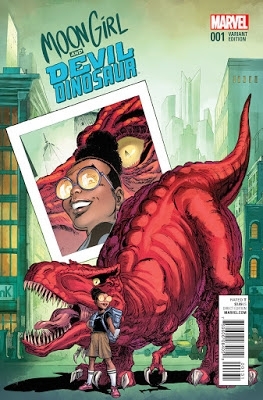 In the second act, we get introduced to the girl genius Lunella, who brings over Devil Dinosaur. She bonds with him, stops the Killer Folk from devastating her town and finding her reason for being as awesome as she is. I know this is currently in development as an animated series, but why not give it a try as a motion picture in the MCU? Killing off Moon Boy might be too much for a G rating. However, if it’s done right, a soft PG film could draw in an audience of kids that can provide the future audience for Marvel films. The problem comes in introducing a character very similar to a traditional dinosaur that exists parallel to primitive humans. It can be explained, but it requires explanation. That can kill a movie plot in its tracks. Devil Dinosaur is a character best shown and less explained. Of course, they could just show him displaced from his regular time from an encounter with the Time Stone. He’s thrust forward to the time of Homo Habilis, the most likely species for Moon Boy and the Hill Folk. It’s completely doable. Also, depending on the events of Avengers: Endgame, we could see a cameo by Doctor Strange, SHIELD or another MCU character. Devil Dinosaur isn’t that impossible to work into the MCU. It just takes the right person to carry it through. This is where it gets zany. MODOK nearly made it into Iron Man 3. Given how that film is critically viewed, even in retrospect, it might be for the best. MODOK needs the right time to be a legitimate threat and now just might be that time. 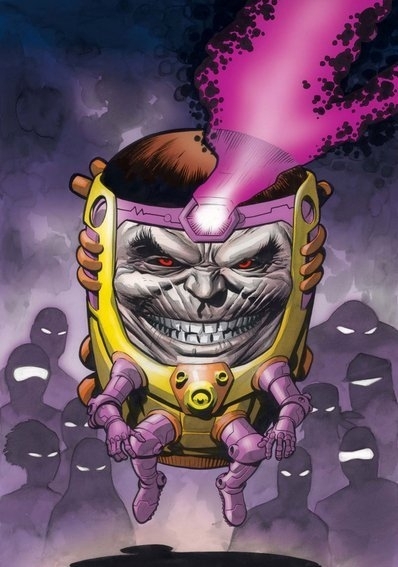 Of course, MODOK looks ludicrous, but done correctly, he can be terrifying. I would personally like to see MODOK be the villain for whatever Captain America follows Chris Evans’ departure from the role. With the absence of Hydra, organizations like AIM have a chance at a second life. Former Hydra scientists could create their new leader with the lingering resources of Aldritch Killian’s AIM. In Iron Man 3, the organization was practically an easter egg. We saw nothing of a sinister organization aside from a villainous CEO. Perhaps we could see AIM create their own Cosmic Cube, modeled on the Tesseract, and that becomes the MacGuffin that draws in Captain America. Knowing what the Tesseract actually contained, Captain America seeks to stop MODOK and AIM from advancing a sinister agenda. There will be a MODOK animated series on Hulu, and I don’t see any reason that Patton Oswalt couldn’t be the voice for the character in a live-action appearance. Given motion capture technology, he could even be actor behind the CGI character. Patton Oswalt has been a semi-regular character in Agents of SHIELD, but MODOK is distorted enough, that it shouldn’t be an issue. Few fans remember that in the 1970s, Spider-Woman had her own animated series, at a time when she was relatively new. While I have showcased her original costume, her current one would be just as appealing onscreen. The character ties heavily into the history of the MCU as a former Hydra agent. The origin of the Spider-powers could be slightly altered, but the modern appeal of the character has returned to the fact that she is rising above a duplicitous past. 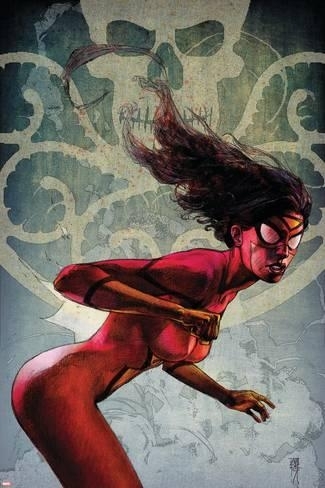 One reason that I would like to see Spider-Woman is that she keeps the MCU grounded. With Phase Four being promised as being more cosmic, something set a little more on the street level would be refreshing. There are a plethora of villains to work into a plot against Spider-Woman, but I would hope the initial villain of her story be the Mystic Morgan Le Fey. This would help tie her with Doctor Strange’s corner of the MCU. A perfect lackey for her would be Modred the Mystic or Doctor Druid, who has fluctuated between hero and villain. The background of Jessica Drew as a private investigator sets a stage for a good mystery that takes an unexpected turn. MCU films have a tendency to mimic another genre of film. One thing that really hasn’t been explored is a good old-fashioned mystery. This is a genre well-suited to Jessica Drew. 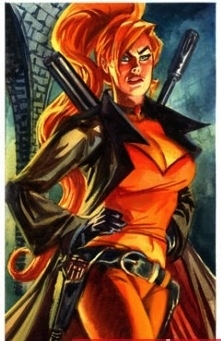 This character is most likely best known for her inclusion in Nextwave: Agents of HATE. She is a simple concept that can either go straight action. I would argue that the character could be used a little more humorously, as past “monster hunter” projects have been less than successful on film. While she also isn’t a big enough name to conceivably carry a film, the same was said of the Guardians of the Galaxy. This also gives a chance to work in the many Marvel monsters. Xemnu, Spragg, Fin Fang Foom are a few of the monsters she could square off against. Of course, Marvel has a knack for incorporating zombies, vampires and werewolves as well. There just needs to be an overarching villain for the plot. That brings me to an interesting proposal. Make Bloodstone the introduction for the Mole Man. The Fantastic Four have enough villains to carry them in the cosmic realms, but the Mole Man is something special. On the surface he seems too comical to work effectively in the MCU, but with an army of monsters, there seems to be no better character for Elsa Bloodstone to face in her introduction to the MCU. With the choreography of fight scenes in the MCU, a character like Echo seems almost custom ordered for a film or television series. While Echo was created to be a foe for Daredevil and a pawn of the Kingpin, there isn’t any reason that she has to be in the MCU. 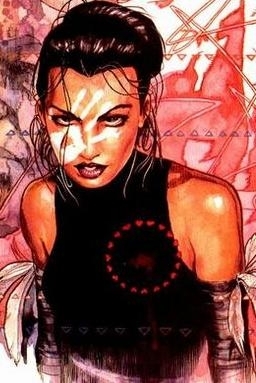 She even once adopted the Ronin identity, which gives us her an entry point into the MCU. In Avengers: Endgame, Hawkeye adopts the Ronin identity. We also have seen him training a young woman, most likely his daughter Lila. Depending upon his status following Endgame, Echo could prove to be a foe for a Hawkeye film introducing the successor for Hawkeye, in the style of Kate Bishop. Echo operating as Ronin would be of interest to the new Hawkeye,given that her father adopted it. If the reasons for Hawkeye adopting the identity are undone by time travel, if Hawkeye survives, he could be the one to express concern over the identity being used. Echo has a power set very similar to the Taskmaster. This could also be his entry to the MCU. Given that Taskmaster’s history in the comments has put him into conflict with Hawkeye and Ant-Man, this story could even find its way into an Ant-Man and the Wasp film, creating several legacy heroes in Echo, Ant-Man’s daughter as Stature, and Taskmaster’s possible daughter, Finesse. This character has remained popular since her creation. Her stature as a Muslim-American super-hero is important, not just for the cultural significance, but for the lack of importance her faith has in defining her character. Kevin Feige stated last year that there were plans for Kamala Khan in the MCU (source). Hopefully this means we’ll see her sooner rather than later. The only hiccup is the nature of her powers. Ms. Marvel is an Inhuman, and that race’s fate in the MCU is cloudy given the failure of an ABC television series. However, the creative people behind the MCU have demonstrated that they don’t need to adhere strictly to their source material. Kamala could be a mutant or a lost Eternal. It all depends upon the direction of the MCU and the timing of Ms. Marvel’s debut. I would imagine a Ms. Marvel film would draw highly on her first story-line with the Inventor. This could also highlight Kamala’s relationship with her family. Of course, there should be an appearance by Captain Marvel, which could work almost similarly to Iron Man’s role in Spider-Man: Homecoming. 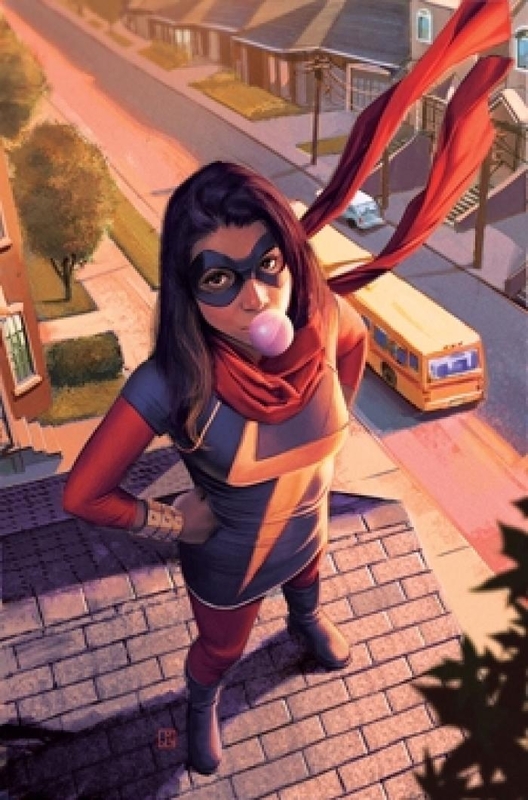 However it’s done, I would imagine that film would most likely be the tone of a Ms. Marvel film. It’s looking more and more likely that we might have a Namor the Sub-Mariner film at some point. However, Namor was never the really interesting character to me. For me, the appeal was with his cousin, Namorita. Of course, Namorita was a replacement for the role that had been filled by her mother, Namora. I was always interested in Namorita’s story as she tried to acclimate to American society. I like the character more than I have ever liked Namor. Given her time in the surface world, she seems more approachable than her cousin. The challenge with Namorita comes with the age difference between the two. This is of course that she is the daughter of Namor’s first cousin, Namora. While Namorita has all the appeal of a young American woman, Namora has the challenge of being as approachable. Namora was raised in an absolutely foreign society, isolated from outside influences. This could be solved by integrating the mother and daughter into one character, ostracized from Atlantean society. This also removes her from the orbit of Namor. Most likely, though, she will eventually appear in the MCU in the context of a Namor feature film.